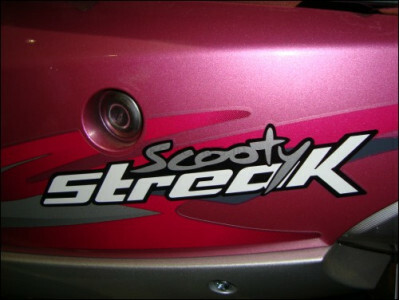 One of Indias biggest two-wheeler manufacturers, TVS Motors, launched new ‘Scooty Streak’ in India. The latest model has razor sharp and sleek styling features. "Girls will find the Streak more comfortable as it has been made with the aim of offering the right mix of performance, style, convenience and comfort," TVS Area Sales Manager Arun Kumar said at the launch. The new model is the latest addition to its TVS Scooty range of products in India. It comes with added features and more comfort for girls. It has aluminum shock absorbers for stress free riding and the high contoured seat is specifically designed for maximum driving comfort. The ex-showroom price is Rs. 35,000 and comes in in five new colours including red, blue, black, pink and mauve.